Keep track of your investment, on any day at anytime when the sun is shining. 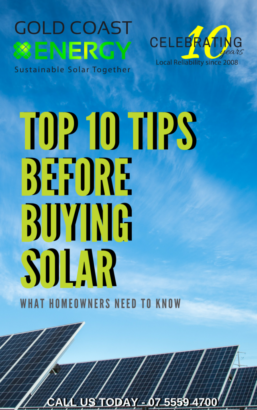 When talking with friends about your solar power system, you can say “let’s see what it’s earning now?” A quick review on your mobile phone and the results leave your associate amazed and in appreciation. It is a good feeling to be saving the planet and making money and also to have your solar power system is doing what GCE told you it should, feeding solar power into the electricity grid supplying you kW hours in credit. Intelligent monitoring solutions offered by GCE come in numerous forms; wireless or cable, compact or complex, brief or detailed. It makes no difference whether you wish to monitor the yield of a home rooftop solar system, or your commercial premises. GCE can provide a monitoring solution for you. GCE understand that when investing in a solar power system it is important to know how your investment is paying off, with our guidance this can be so easy. GCE offers a range of monitoring devices that are easy to set up and user-friendly. You can always have an eye on your system and more time for the other important things in life. 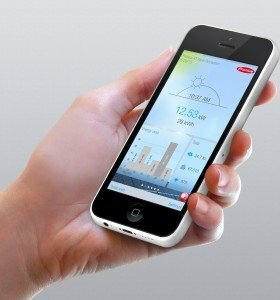 Our innovative monitoring solutions keep an eye on your solar power system around the clock. You can be kept well informed about the perfect operation of your PV-system providing data on daily yield, total yield or the current power of the PV – System, ensuring it is performing at it’s optimum. Options include desktop monitoring devices that you can place anywhere and are easy to operate, compact and elegant and communicate wirelessly, via Bluetooth with a range of up to 100 meters in open air. Incorporated are acoustic alarms so you can be alerted if there is ever an issue with your system. You can also select options where you link directly to any PC using Windows, Mac or Linux with common software products. Is my system working as expected? Even for small solar power systems, comprehensive control is important to ensure you are achieving the returns you expect. The decision to have a solar power system means you are choosing not only an environmentally friendly technology, but also a long-term source of revenue. This means it is essential that the system is running smoothly at all times. If output reductions in your system go unnoticed for a long period, for example, due to shadowing of the solar modules or disturbances in the power distribution grid, this may result in serious losses in yield. Continuous system monitoring therefore not only means seeing your self-produced solar power, but also being able to react quickly should anything go wrong. Modern monitoring is much more than just control. Thanks to the Internet, it keeps you clearly informed about the faultless operation of the system – for example via e-mail, anywhere in the world. Furthermore, it presents the system data simply, understandably and professionally. This allows you as system operator to always have an eye on your systems yield. For larger systems, it allows you to effectively publicize your ecological commitment.